Apple releases its new operating system, aka, macOS 10.14 Mojave. However, there is still no good news in DRM removal of iTunes movies and TV shows on the latest macOS. So, this guide is still helpful if you want to remove the DRM protection over your purchased iTunes videos, while you stay up-to-date with Apple’s latest macOS, 10.14, Mojave. I recently got a couple of free TV shows in iTunes and I see they are DRM protected. However, when I try to remove the DRM protection in the M4V files from iTunes on my MacBook Pro running macOS 10.13 High Sierra, I was told that the program does not work with High Sierra at all??? I, therefore, tried on Google, and tested Tuneskit for Mac High Sierra as well as M4VGear, Drmare, Noteburner High Sierra and find myself NO luck at all on how to remove DRM protection on macOS High Sierra! I was astounded! I see they promise to release an update for DRM removal on macOS High Sierra, however, nothing happens. 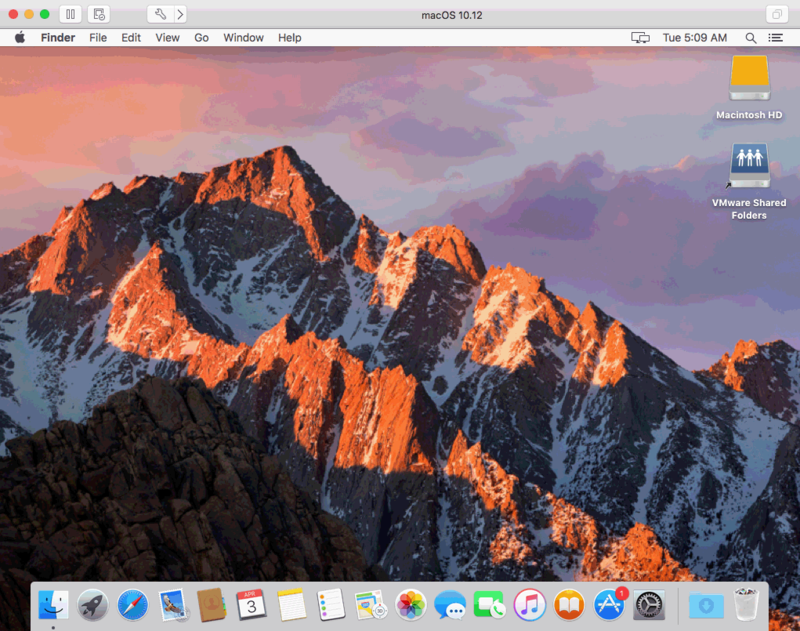 macOS High Sierra has been released a long time ago and Apple’s next OS macOS 10.14 Mojave is on the way! Why those DRM removers are not able to remove DRM on High Sierra? But obviously, they didn’t find a direct way out so far. I think there must be some other way out and I tried something and I have good news for all your guys! The below guide explains possible ways to remove DRM from iTunes movies or TV shows on your Mac machine that is running High Sierra. If you don’t want to downgrade your OS or if you are looking for a lossless way to remove iTunes DRM on macOS High Sierra, this guide helps. Update: TunesKit explains to Disable System Integrity Protection so as to remove DRM protection on High Sierra but it says “We are sorry that currently this solution does Not work well for macOS High Sierra yet. So please disregard the following method.” So, this way of DRM removal on mac high sierra from Tuneskit doesn’t work either. I will explain three possible ways that are safe to go for iTunes DRM removal High Sierra, Mojave on your Mac machine without having to downgrade the OS. To install a virtual macOS Sierra or El Capitan on High Sierra or Mojave and remove DRM from iTunes movies/TV shows on High Sierra/Mojave in the virtual machine is what I think the best option. This means you run both macOS Sierra and High Sierra or Mojave on your mac, so you still have access to all your data. You are able to access my below guide on how to install virtual macOS Sierra, which covers the three main VM programs on macOS. I recommend those whose Mac has over 6GB of RAM to go for this option. Creating a dual-boot macOS on your Mac machine is what I think to be the most compatible way. It’s like you get yourself a new mac device and you can do everything on it, including DRM removal on dual-boot macOS Mojave, High Sierra, and Sierra/El Capitan etc. Just make sure to install a previous version of macOS High Sierra or Mojave, like Sierra, El Capitan that the DRM removal program is compatible with. There are many guides for us to create dual-boot macOS and below are two guides on I found on Google on how to create a dual-boot macOS. Although they are for previous Mac OS X Mavericks and Yosemite, it is still working for macOS High Sierra and Mojave. You can install the latest macOS High Sierra/Mojave as the main system and install a previous version of macOS like Sierra, El Capitan so as to remove DRM. To install a dual boot macOS will be the most compatible way to do so but you will always have to restart to switch the between the two. Please note on if you already have Windows on your Mac machine, this may ruin your Windows after your create a new partition to install another Mac. I suggest you to check carefully before you do so. You can download macOS Sierra on App Store. To remove DRM from iTunes movies or TV shows on Windows seems to be easier than that on macOS as it does not seem to be as many limitations as on Mac and most DRM removal supports the latest Windows 10. We are able to create a dual-boot Windows using macOS built-in tool called BootCamp and there is detail guide on how you can do so. Also, installing a virtual Windows on your macOS High Sierra/Mojave so as to remove DRM in the virtual windows is also good to go. Below is the very guide to install a virtual Windows on mac free. However, Windows is NOT free and costs a lot. If you have a key, just do it! If not, I don’t think this is the best option. M4VGear DRM Media Converter is one of the best DRM removal software that is able to remove the DRM protection from iTunes purchased or rented movies and TV shows etc. M4VGear DRM Media Converter is able to just remove the protection and save your movies or TV shows to a lossless MP4 file with the original video quality, subtitles and 5.1 AC3 sound of all possible audio tracks. And, if you just remove the DRM protection without converting, the speed is very faster, but you are always able to re-convert the protected M4V files to whatever video format you need like MOV MP3 for your iOS or Android devices, TVs or PC/Mac for free playback. Leawo Prof. DRM is an all-in-one program that is able to remove DRM protection from iTunes purchased videos, music, audios, and eBooks. 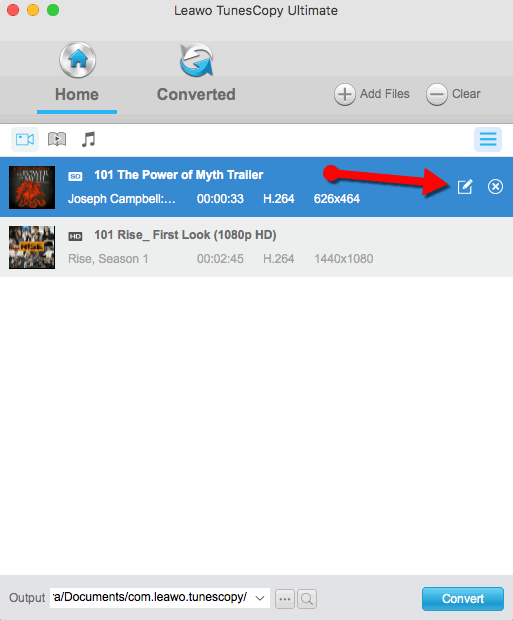 When it comes to DRM protected iTunes video including movies as well as TV shows, Leawo Prof. DRM gives you a 1:1 quality and DRM-free MP4 file. You are able to keep the original audio and subtitle tracks and the 5.1 Dolby sound. To me, DVDFab is the strongest to remove all kinds of copy protections in Bluray, DVD and iTunes movies. However, it is still not possible to remove the DRM protection in iTunes videos. DVDFab 11 is an all-in-one solution and Mac DRM Removal for Apple is part of its function module. DVDFab Mac DRM Removal offers DRM encryption of all iTunes media including Apple music, audiobooks, movies, and TV shows. DVDFab Mac DRM Removal for Apple only removes the DRM protection and save the videos as DRM-free MP4 file. It keeps the original video and audio quality. Leawo TunesCopy Ultimate has been upgraded and renamed to Leawo Prof. DRM. But it looks and works the same. Removing iTunes DRM on VM on High Sierra is almost the same as we do on a real machine. Since they are VM, I have some suggestions as well as a guide for you and I’d also like to recommend an iTunes DRM removal for macOS High Sierra. If you have Tuneskit or M4V not working on High Sierra, this will also help. 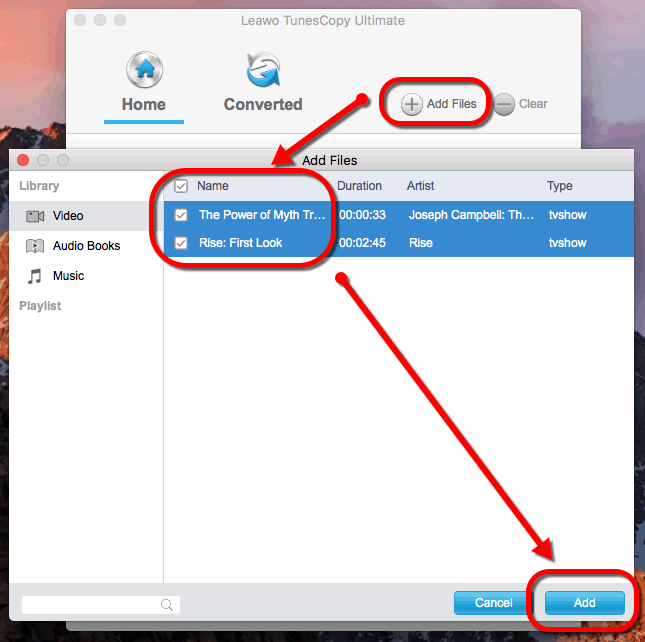 Leawo TunesCopy Ultimate is one of the top solutions that are able to remove iTunes’ movie or TV shows DRM protection as well as the books and music. It just removes the protection from iTunes movies, TV shows, and Books and keeps everything like the 5.1 sound, subtitle, video quality etc and save as MP4 file. I already have a previous guide using Leawo TunesCopy Ultimate to remove the DRM protection and then burn the iTunes video back to DVD. You can follow the below buttons to have a trial and the below guide is how I use it to remove iTunes DRM on High Sierra! It is always required to sign in iTunes so as to get access to the iTunes movies and TV shows. If you are interested in the free VM in VirtualBox, you will have to download iTunes videos. This is because shared folder is not working without the guest extension. For VMware Fusion and Parallels Desktop, you can copy your iTunes videos to the shared folder. Click Add Video to add your iTunes movies or TV shows. 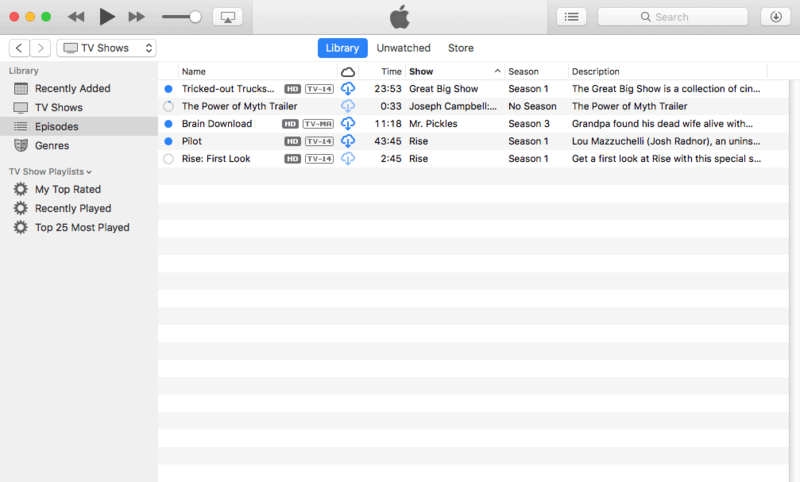 If you download the DRM videos in iTunes, Leawo is able to read and show them for you. If you have them in your shared folder or another path, you will have to manually locate them. Drag-and-drop is also supported. You can edit the Edit button to choose audio and subtitle. If you leave it, it saves all audio and subtitles tracks in MP4 format. Click the Convert button to remove the DRM protection! You will be asked to enter your Apple ID password and relaunch iTunes. Just do as it requires. You may get the below error when you try to remove DRM in the VM on High Sierra. This may be because you don’t authorize the VM. Go Account in iTunes menu-Authorizations-Authorize This Computer. Do as iTunes requires and have another try on iTunes DRM removal on High Sierra! Helpful guide to teach us how to remove iTunes DRM. To be honest, this maybe difficult for me to handle. Since I’m idiot in this filed, just prefer to user to user-friendly interface tool to remove DRM from iTunes without any hassle. After searching on the Internet, I find there are so many M4V converter for us to get rip of DRM protection and convert videos from M4V to MP4 and multiple formats with lossless quality. My option is named DRM Media Converter. You can learn its detail functions at: https://bit.ly/2qLZoSW Hope this tip is useful to you. Thank you for your nice ad and I am glad you are able to find my post. But your link to your DRM Media Converter is no longer available, nor does it appear in your official site. And, I don’t think you even know your program. Check out cache page on Google and you will see it clearly states it only works on macOS 10.8 to 10.12, meaning it does not support macOS 10.13 High Sierra. I will attach the error message here in the comment when I try to remove DRM from my iTunes free TV shows just in case you don’t believe me. One more thing I must say, before I wrote this post, it takes me ages to find a 100% working DRM removal for High Sierra. And No, no program is able to remove DRM on macOS High Sierra and that’s why I wrote this post. Hopefully, there won’t be such trouble for us when the new macOS 10.14 releases. And, if you guys happen to know one, please let me know. In my opinion, the method is the SAME. I am looking for the solution to just run the program and do its job right, not with other operations or settings. As far as I can see, Leawo TunesCopy and your NoteBurner M4V converter as well as other iTunes DRM removal, work on Windows. So, it can be a good option to ask the vendor to switch the license for you to remove DRM on virtual Windows, dual-boot Windows, or another Windows PC. As for the VM and dual-boot macOS, you are able to remove the DRM right on macOS High Sierra if you run a VM but will have to restart your Mac and switch between High Sierra and Sierra to remove the protection. This is the only difference but they both work. Your choice. Why is it so hard to get this type of software to work with Mojave? Thanks for this article. I opted to make a VM and it is working good. Thank you for the comment! I’m glad to hear the VM is working for you! I don’t know the tech details, but obviously, Apple limits so. Hopefully, there won’t be such trouble for us soon.